A hormone (from the Greek participle “ὁρμῶν”) is any member of a class of signaling molecules produced by glands in multicellular organisms that are transported by the circulatory system to target distant organs to regulate physiology and behaviour. 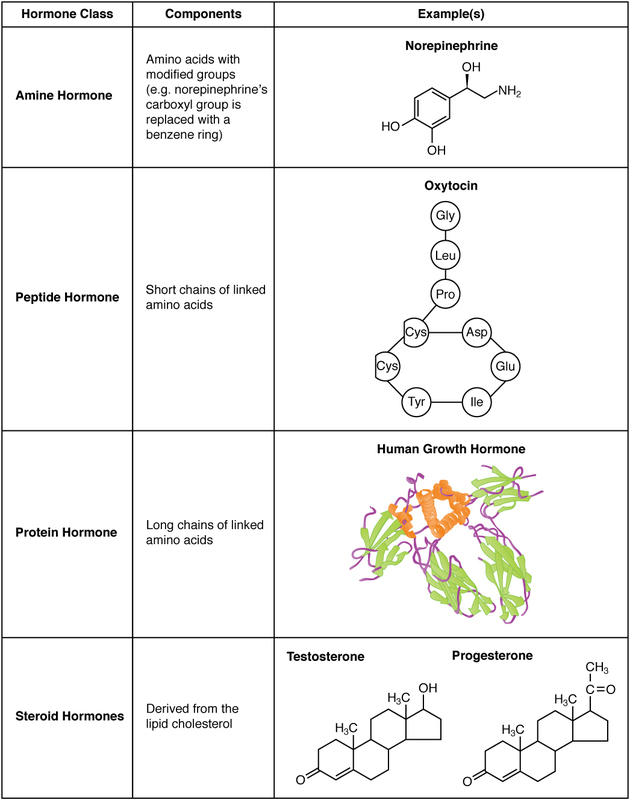 Hormones have diverse chemical structures, mainly of 3 classes: eicosanoids, steroids, and amino acid derivatives (amines, peptides, and proteins). The glands that secrete hormones comprise the endocrine signaling system. The term hormone is sometimes extended to include chemicals produced by cells that affect the same cell (autocrine or intracrine signalling) or nearby cells (paracrine signalling).